As a new student of La Trobe University, you are now welcome to join us as we take you around to some of the world’s most iconic tourist destinations. We guarantee giving you a true representation of what Aussie life is really like. Australian animals along with some of the most popular beaches in the world are just a few things to look forward to. Signing up for the following trips will give you the opportunity to tick a few things off your bucket list. Sign up quickly as we have limited spaces available on each trip! Unfortunately, our Great Ocean Road trip is full! If you missed out on getting a place, please us directly at info@therealexperience.com.au and ask to be put on the waiting list, in case someone else pulls out. Also, keep an eye out for our next trip to Phillip Island which we will be promoting this week. It’s always a REALLY popular trip, so if you missed out on the G.O.R, sign up for this one ASAP as there are also limited spots available. 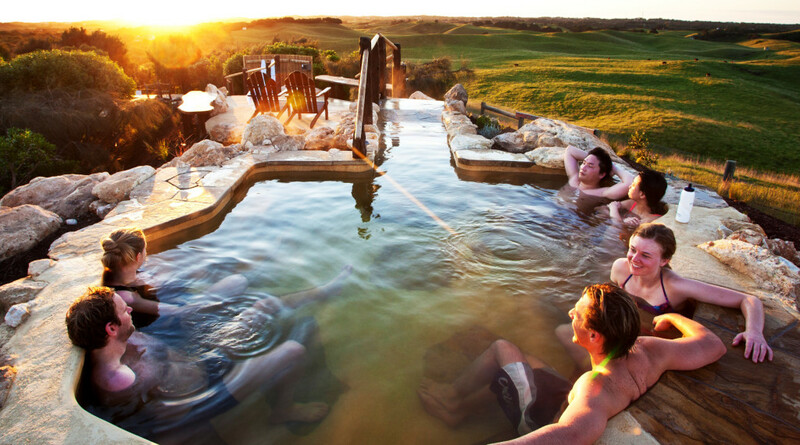 Come and join us as we head down the Mornington Peninsula and chill out under the stars at the Mornington Peninsula Hot Springs. Before reaching the Hot Springs, we will enjoy some Wood-Fire Pizza and Beer from a local brewery on the Peninsula. This trip is always such a highlight. There is no better way to enjoy an evening than spending it relaxing with friends in Victoria’s only naturally heated mineral spas. We will be leaving around mid afternoon (roughly 4pm), so you don’t have to keep your whole day free to still be able to attend. – Be sure to sign up soon as there will only be 1 of these trips this Semester, see you there!